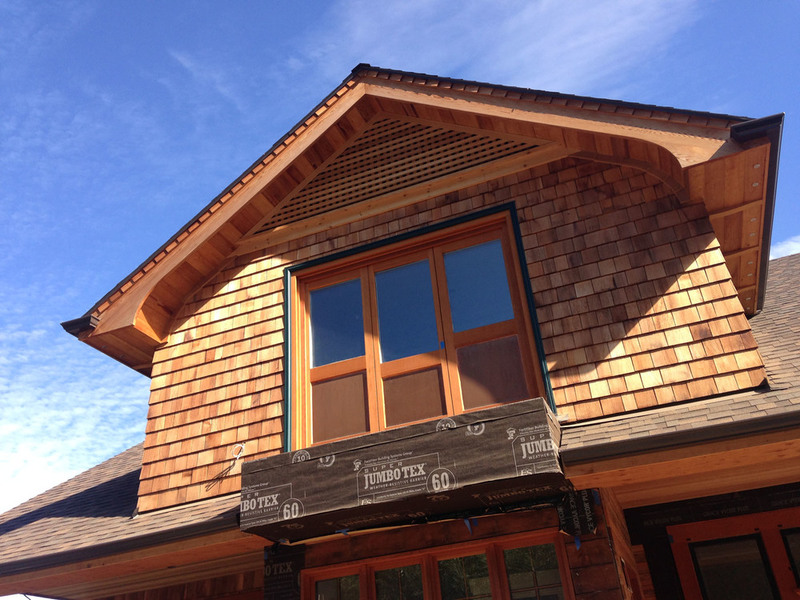 We completed our work at the Goose Hollow Heights a couple months ago. 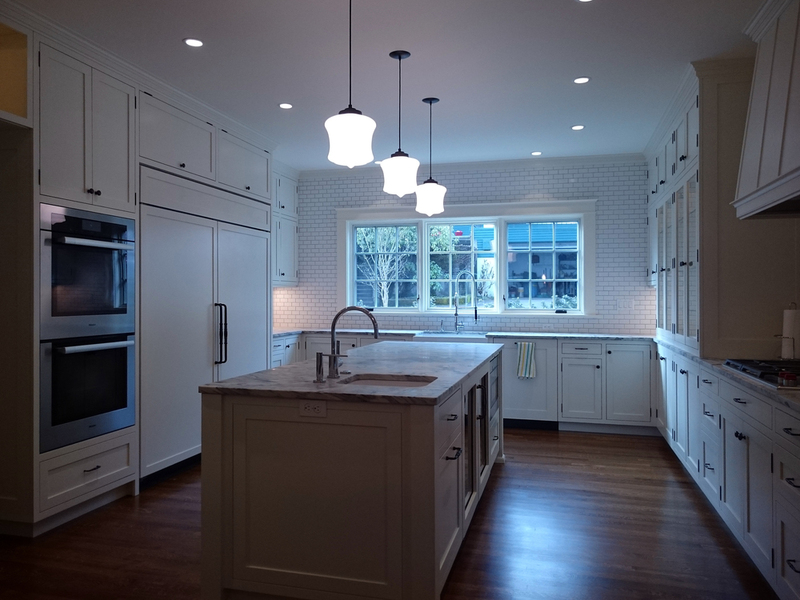 The project included an interior remodel to create a kitchen and breakfast nook more in keeping with the style of the house, as well as the addition of a new mudroom. 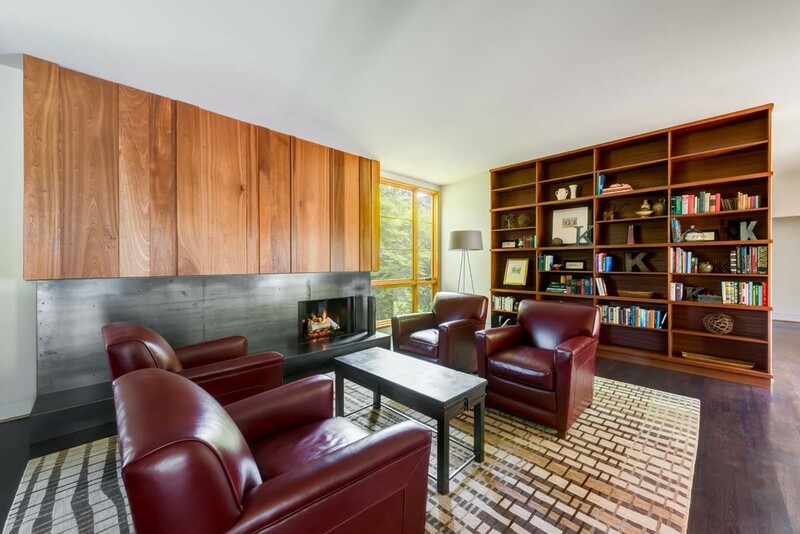 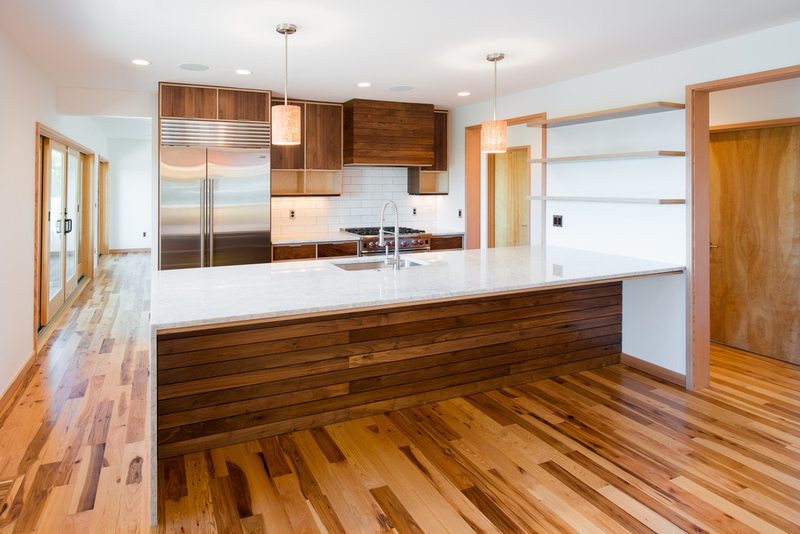 Major bearing walls were removed and replaced with new beams, in order to open up the interior layout. 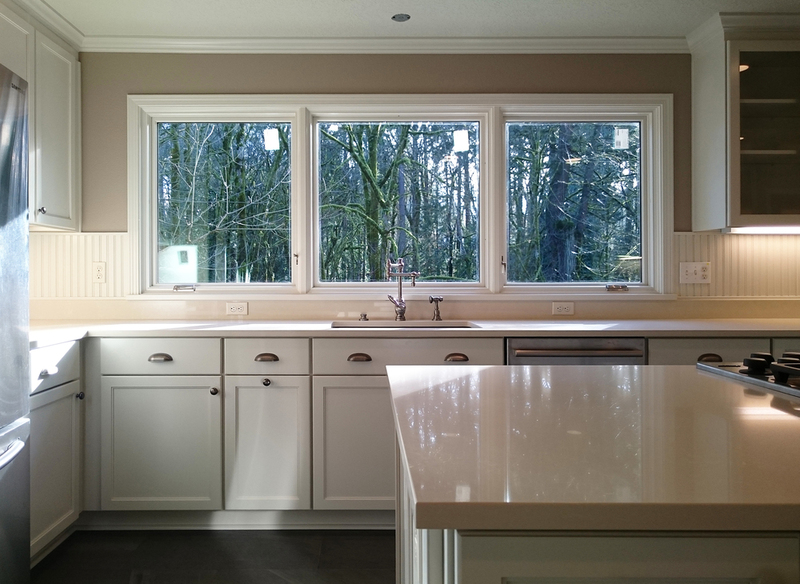 New windows were added in the kitchen to replace an unsympathetic window and door system added during a previous remodel. 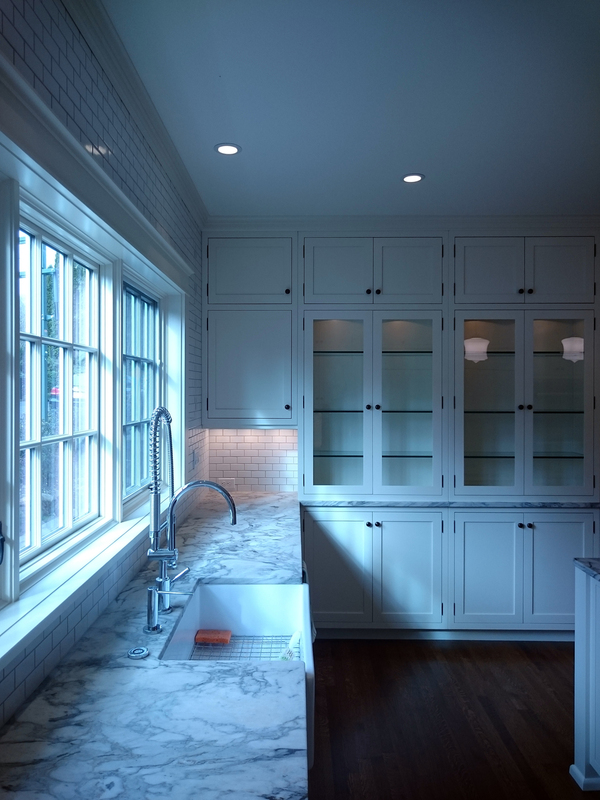 The cabinets were custom built for the project by our frequent collaborator Crownwood Construction. 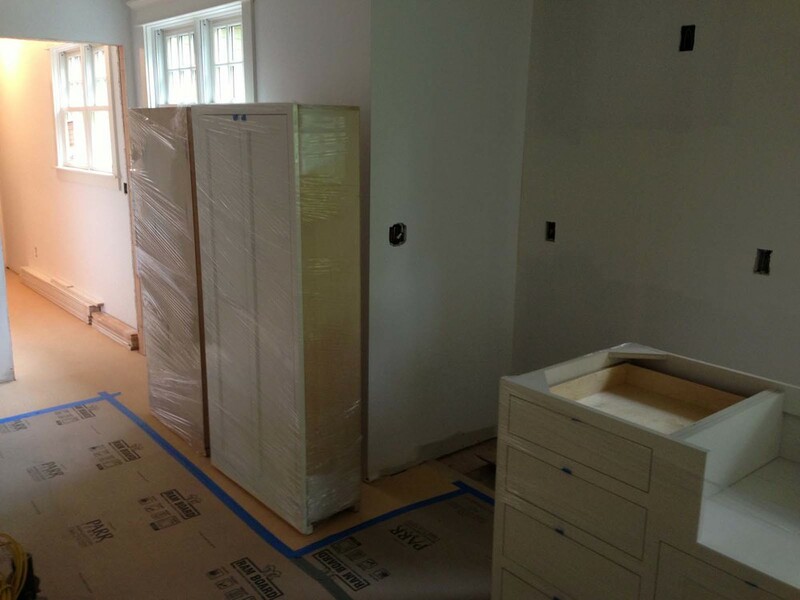 A peek at the cabinets currently being built by Crownwood Construction. 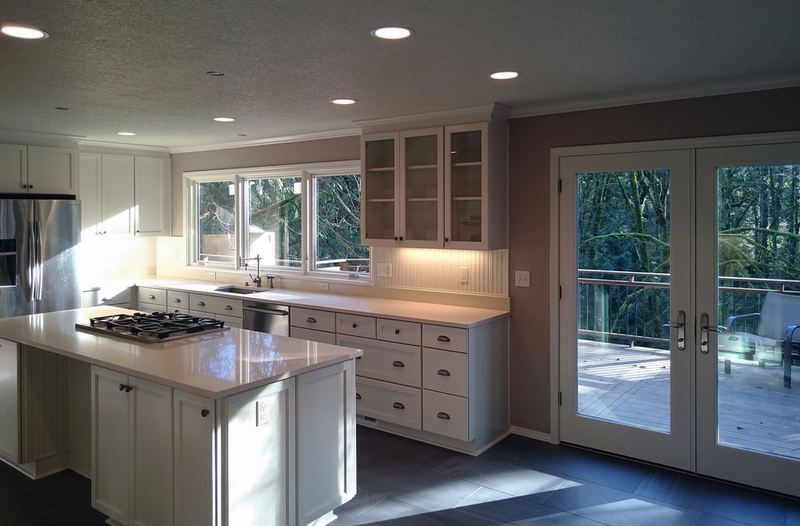 Friday was our last day working on the Vista House Kitchen, which we previously wrote about just after the cabinets were delivered. 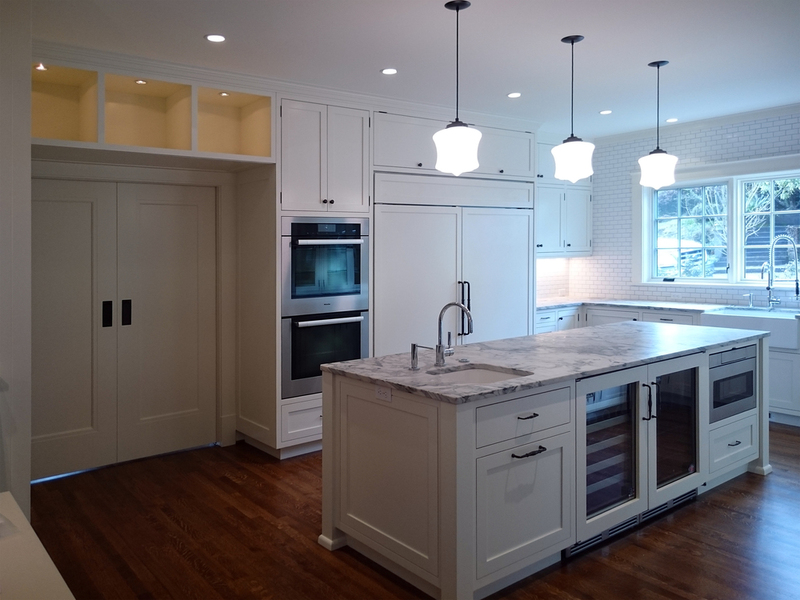 The project was a complete remodel of the kitchen, which included the demolition of a bearing wall to allow the kitchen to expand into space previously used as a pantry. 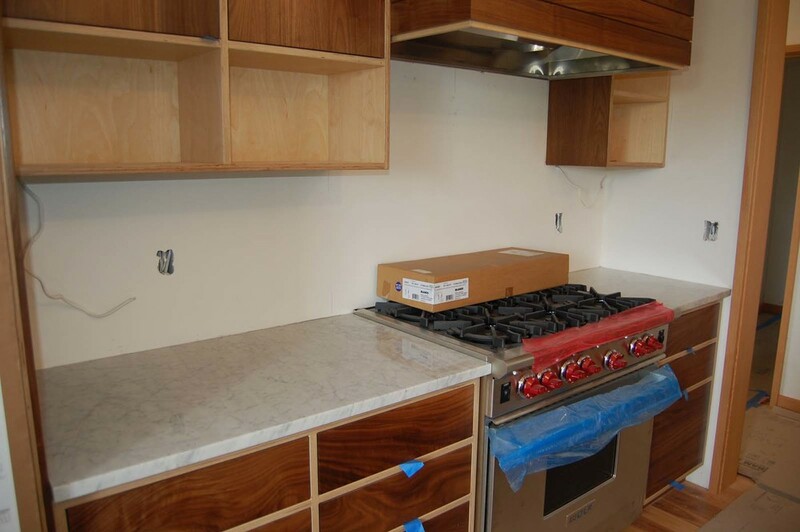 All the cabinets, tile, lighting, countertops and appliances are new, but were designed to compliment the 1925 house. 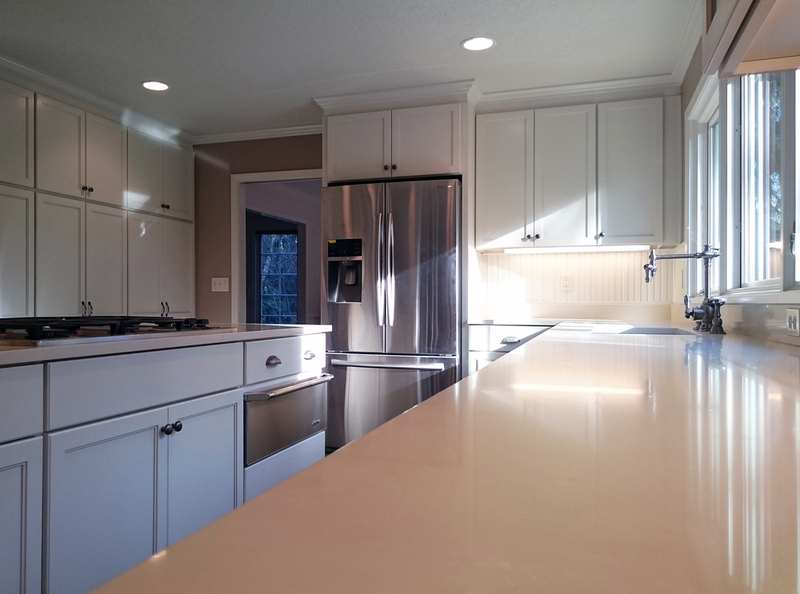 We would like to thank our clients, both for giving us the opportunity to work in their house, and for their patience while they were displaced from their kitchen. 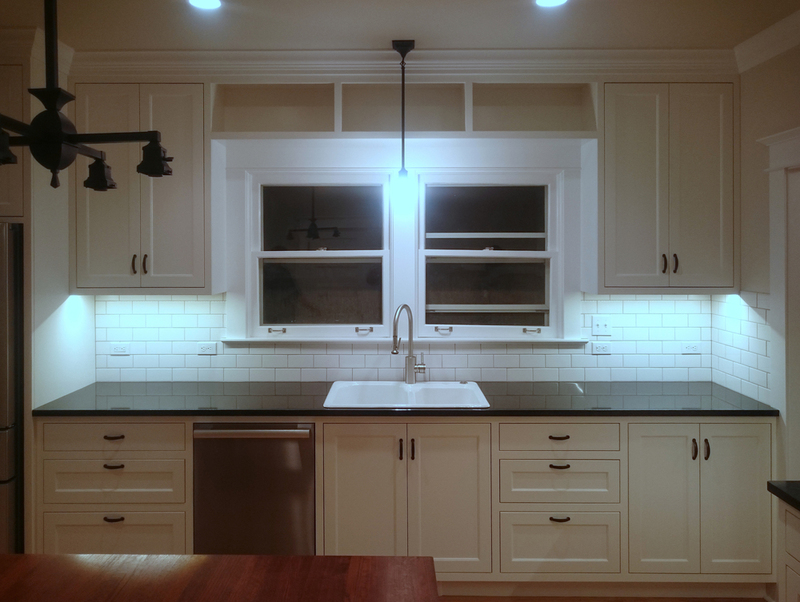 We're very pleased with how the project turned out, and hope that they will be equally happy as they use the kitchen for years to come. 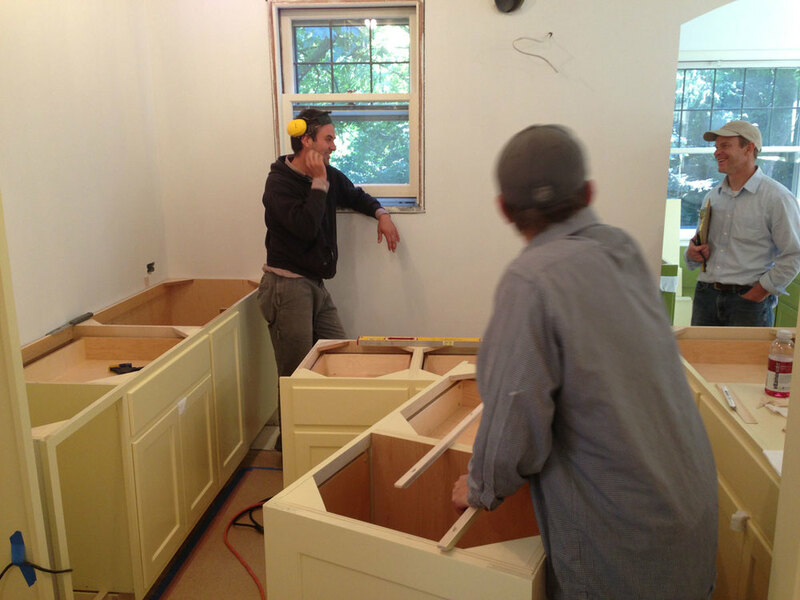 We consider ourselves very lucky that a previous client of ours has invited us back into their house to build a new kitchen. 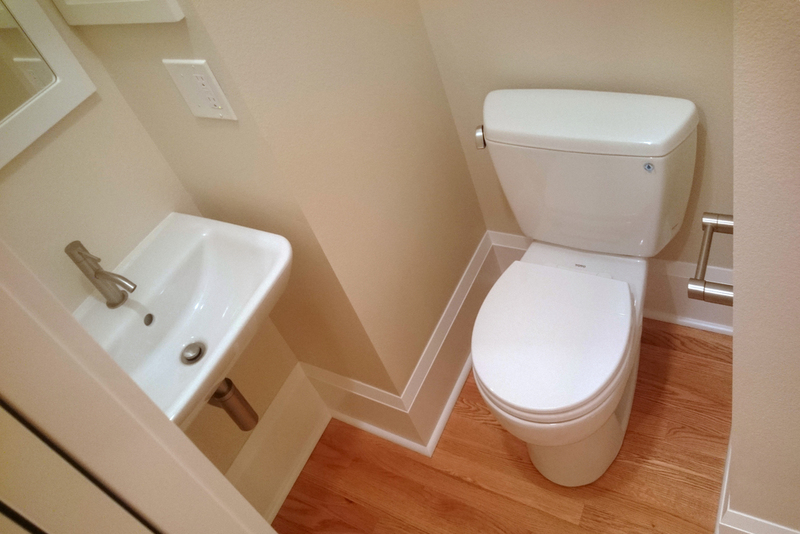 In 2010, we completed a remodel of their previously unfinished basement, and put in a new master bathroom. 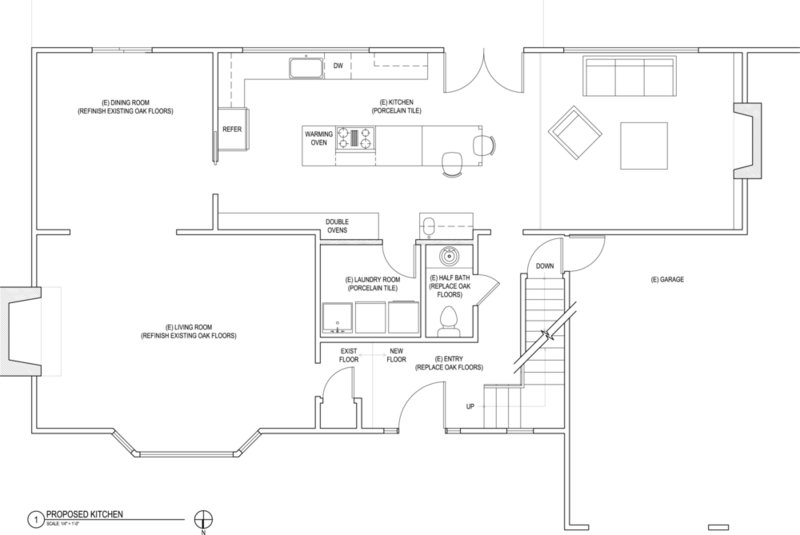 Their house is always a pleasure to work at, and has beautifully proportioned rooms, but the existing kitchen didn't reflect the way the clients actually live. 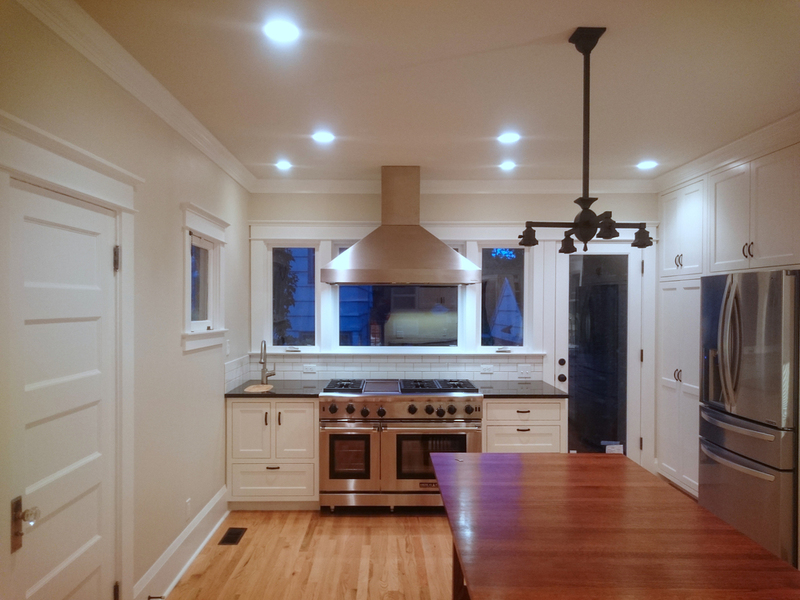 The layout of the kitchen hadn't changed since the house was built in 1925, and had a narrow galley style plan, and a separate pantry. 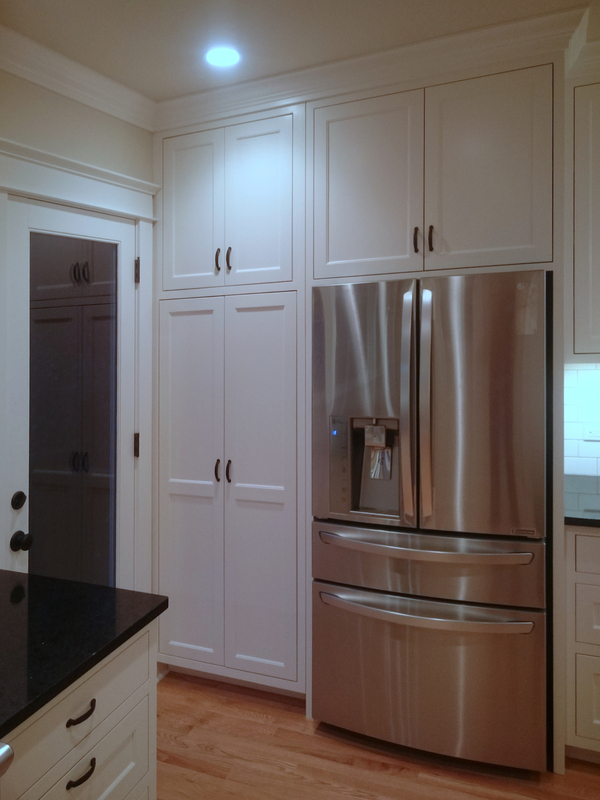 By removing the wall between the kitchen and the pantry, we could create a more open and spacious layout, with a center island. 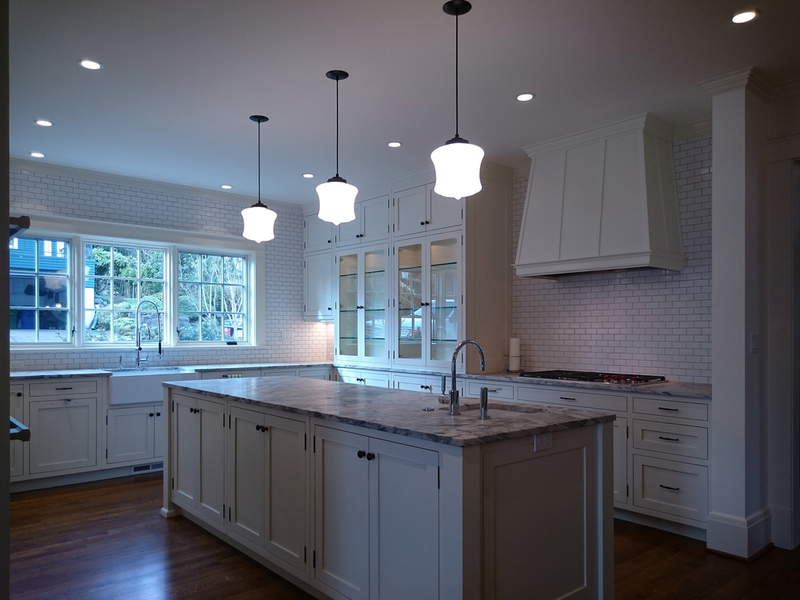 While this is a more contemporary plan, we wanted to ensure that the new kitchen didn't feel like it belonged to another house. 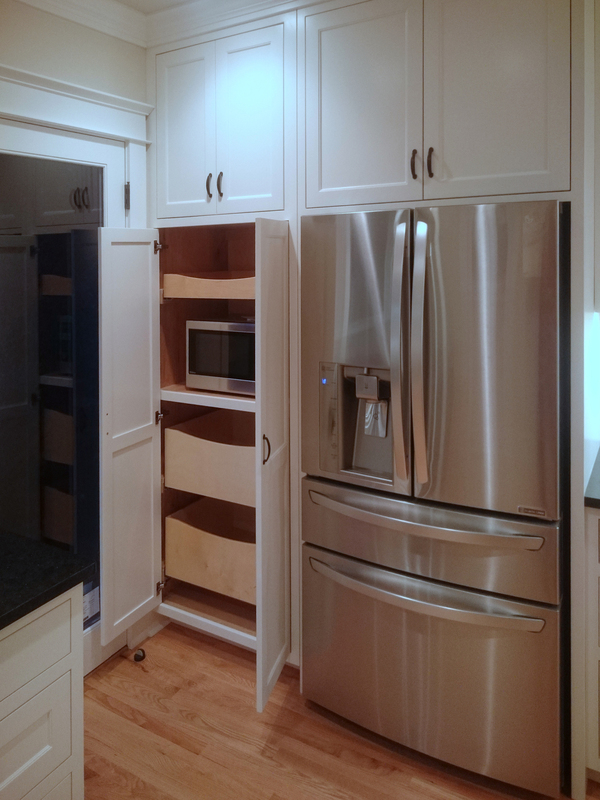 For the past month, Skyline Fine Cabinets in Eugene have been building the cabinets, which have a traditional American face-frame construction, with 3/8" overlay doors and drawers. 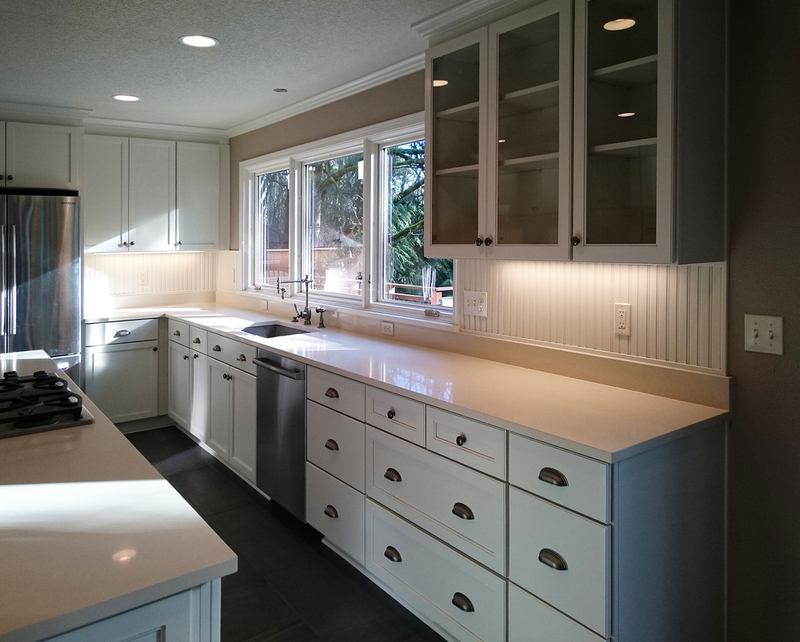 Meanwhile in Portland, our team were busy demolishing the existing kitchen, inserting a new beam where we removed the bearing wall, and coordinating the plumbing, electrical, sheetrock and floor tiling. 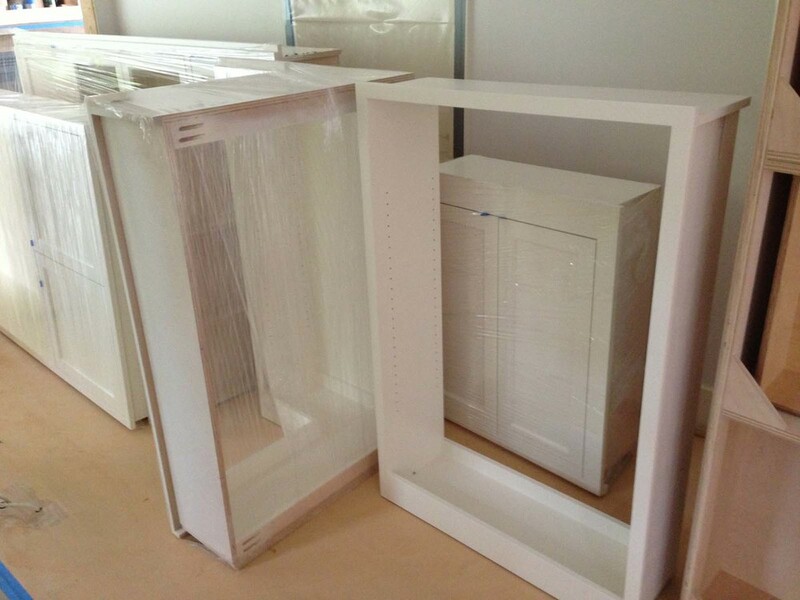 Yesterday marked an important milestone, when the cabinets arrived. 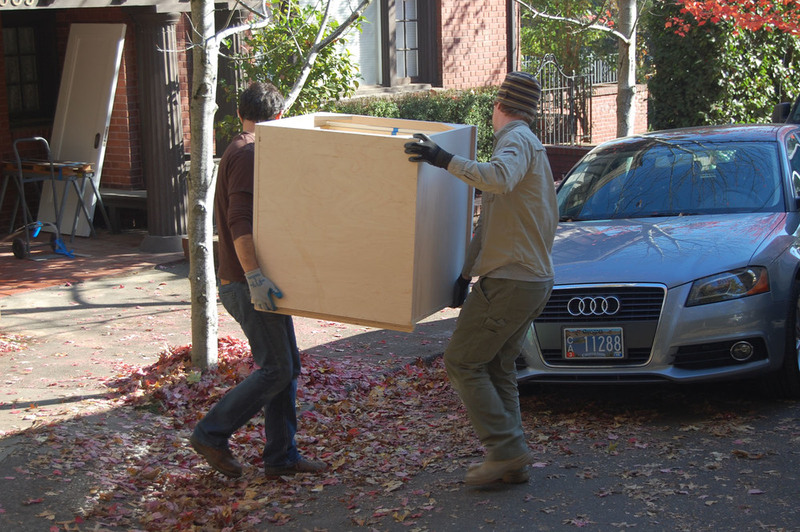 Right now, it's like a game of 'Tetris' as all the pieces come together. 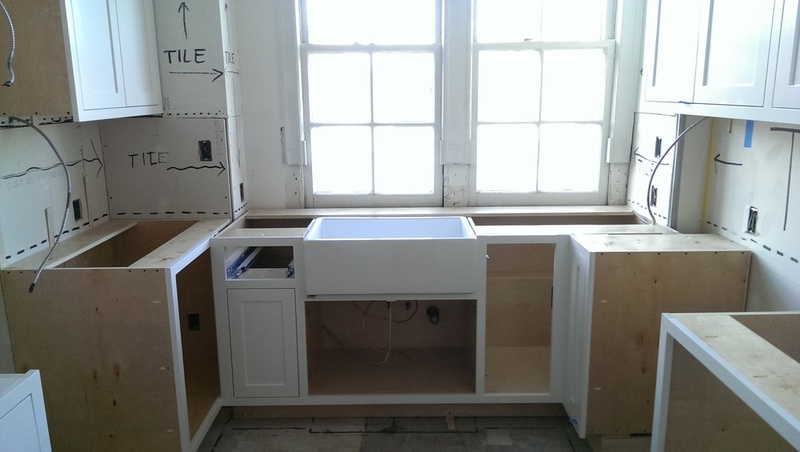 Once the cabinets are in place, we can install the appliances, and the final measurements can be taken before cutting the stone for the countertops.